Many people who aren’t familiar with corporate social responsibility assume that it only involves making companies right the social wrongs that they practice. However, the most successful companies take a more proactive approach, contributing to causes that improve their local, national or global community, especially in ways that also benefit the company. Companies in the world of wine are no exception, and there are many who take steps to engage in greater social responsibility. I consider there to be four levels of engagement: government, industry, regional partnerships, and individual wineries. In this article, we’ll cover the government and industry-related levels of engagement. Governments are uniquely empowered to facilitate social responsibility through economic and labor policies. Tax breaks for philanthropic business giving and setting fair labor standards are steps to a more sustainable economy. 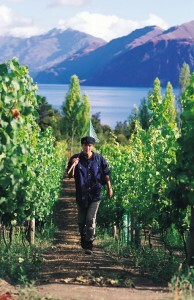 One such program in New Zealand addresses a labor problem for the wine industry. Wine production requires seasonal labor, a call that is usually answered by migrant laborers. New Zealand faces a unique challenge in its labor market in that it has 100% employment. 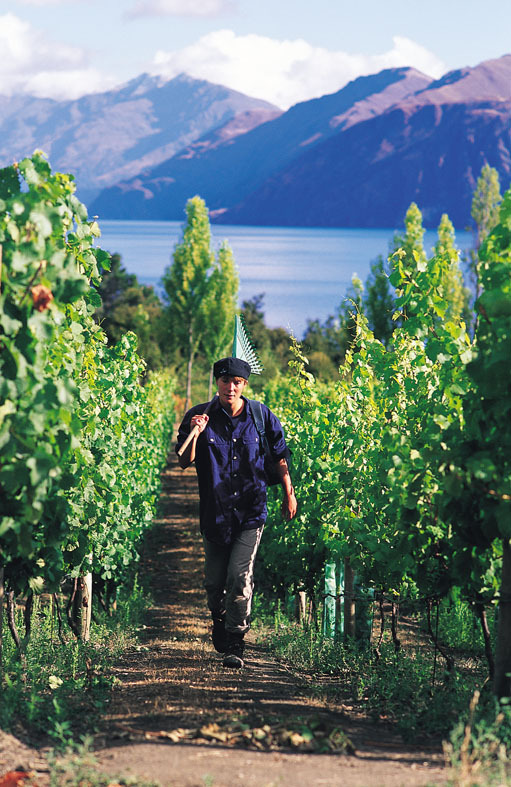 The island nation simply does not have enough workers to support a robust viticulture industry that demands unskilled, seasonal labor. Despite being given lemons, New Zealanders have made lemonade (or should we say wine?) through developing the Recognised Seasonal Employer (RSE) program. RSE recruits workers from countries participating in the Pacific Island Forum (with the exception of Fiji) to work in New Zealand’s horticultural and viticultural industries. The employer is responsible for paying for the flight to New Zealand, paying a market wage to the worker, providing basic pastoral care and covering any costs associated with the process should an employee not return to their home country. Workers themselves benefit from the program, citing improved English skills, greater wages and increased abilities to support their families. Despite purchasing their own return plane ticket and paying registration costs, participating in the program yields considerably higher wages for the workers than those they would collect working in their home communities. In addition, workers from a specific community select a social project to undertake back home, such as a school library, water pumping or village electrification — and they also use part of their wages to purchase equipment and supplies to complete the project when they return. Nearly every OECD country has a migrant laborer policy, but New Zealand’s serves as a model to replicate where possible. Wine industry organizations that set sustainability certification guidelines can also foster social responsibility. Groups like the California Sustainable Winegrowing Alliance and Bodegas de Argentina can inform and incentivize participating vineyards and wineries to adopt socially responsible initiatives. For example, Section 15 of the California Sustainable Winegrowing Alliance Sustainable Winegrowing Protocol titled “Neighbors and Community” contains practices at the community level and beyond. Awareness of the business’s impact on the community is essential. Vineyards and wineries recognize that noise, light, and traffic as well as potential pollution and chemical use are common concerns for their neighbors. Engaging these stakeholders and responding to their worries with action or clarification creates a more positive environment in which to live and conduct business. More than taking ownership of the potential problems that could arise as a result of on-site practices, CSWA encourages its participants to donate time to their communities, whether by volunteering or by presenting to schools, fire departments, police departments or other community organizations. Additionally, CSWA organizations can host or sponsor arts and cultural events as another way of engaging communities. The Fair Trade certification also provides an opportunity for wine companies to engage with corporate responsibility while also bettering their business interests. For example, many of the families who work on smaller farms in Argentina live on the land as well. Difficult labor conditions, including frequently fluctuating market prices, can threaten these workers’ livelihoods, causing disruptions in a vineyard’s workforce. However, companies like Soluna Wines in Argentina have begun having wineries pay a small premium on each bottle of wine, which is then put in a fund for the workers at the vineyard. This money is used at the workers discretion to better their lifestyle, aiding the workers community meet basic needs, generate larger income, stay in their jobs longer, and become more connected to their work. Many of these wines have received the Fair Trade label, as have other wineries that make a conscious effort to avoid child labor and unsatisfactory work conditions. In my next article, I’ll cover the roles that regional partnerships and individual wineries play in bettering their local and international communities.